Warburtons is the largest bakery brand in the UK, delivering to over 20,000 retail customers each week. Warburtons produces more than 2 million of its famous wax wrapped loaves, wraps, crumpets, pancakes and bread rolls a day – accounting for a quarter of the total wrapped bakery market, which is worth more than £2.8 billion a year. The company currently operates 12 bakeries and 15 depots across the UK and has invested more than £370 million in its business over the past decade, building new bakeries, refurbishing others and upgrading distribution networks to ensure its products are as fresh as possible when they arrive at the point of sale. In early 2014, the company announced an upgrade to its distribution planning systems, and now Warburtons’ retail customers are benefiting from enhanced delivery schedules following the integration of real-time Navman Wireless GPS vehicle tracking with its Paragon transport routing and scheduling system. Paragon’s Route Execution solution links the Navman Wireless tracking system to its multi drop route planning software, which provides live and accurate data for monitoring performance and optimising routes. Using this advanced system, Warburtons delivers 2.2 million bakery products each day to retail outlets across the UK. Warburtons has worked with Paragon for more than 10 years, developing the way it uses the multi drop route planning system to meet changing business requirements. Now, by adding Route Execution linked to Navman Wireless M-Nav 760 two-way messaging, job dispatch and navigation terminals, the company has been able to revolutionise its distribution processes. The enhancement to the system also provides visibility of driver activity and accurate data to show on-time delivery performance together with any deviations from the plan. “With Paragon Route Execution providing live vehicle and driver activity from the tracking system, we are able to use a fact-based approach to planning deliveries. 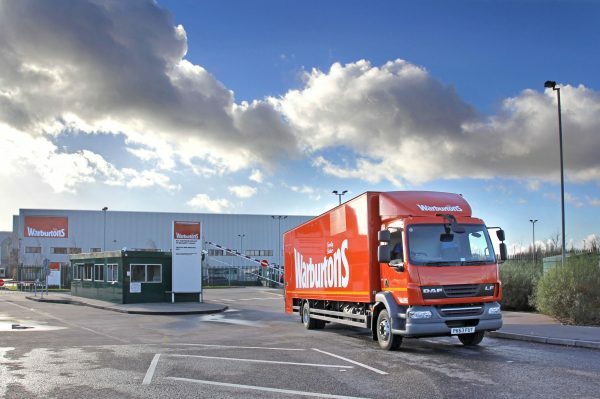 One of the reasons Warburtons chose the Navman Wireless system was its ability to fully integrate with Paragon’s Route Execution software package. The link between the systems is seamless and it gives us full visibility of what is actually happening on the road. We can see when a vehicle arrives at a delivery, how long the call took and when it left. We now have visibility of our customer service performance immediately, whereas previously we had a 12-hour delay in getting feedback from the drivers when we used manual reporting. This also helps us to proactively manage the fleet, and the drivers have widely accepted the system,” said Norton. The Paragon software is installed at Warburtons’ head office in Bolton, and the company has around 100 users accessing the server-based Multi Depot system over its network. Orders are uploaded automatically into Paragon from Warburtons’ SAP enterprise software each night to generate the routes and schedules. The routes are sent directly to the in-vehicle terminals so that the drivers have all their deliveries available in sequential order on their terminals when they arrive at work. Complete the form to subscribe to to the latest blog articles, customer news and product updates from Paragon. You can unsubscribe or manage your preferences at any time. For more information about any of our products you can get in touch with one of our experts.